The driver is the source of such frustration and satisfaction all wrapped into one. Every hole you walk up to whether its 300 yards or 600 yards, the driver calls to you from the bag, “C’mon, let me at ‘em!” If you are on your game then your driver is your best friend. If you are not, a divorce lawyer will be in your future and you will find yourself back at your favorite golf shop (or zipgolfer.com) looking for a new love. For this category I’ve broken it out into two categories: Aerodynamic and Adjustable. This could also be classified as game improvement. These aerodynamic drivers are designed to be big and forgiving. My two favorites in this category are the Taylormade Lady Burner driver and the Adams Speedline F10 driver. Both of these models are shaped to reduce drag so that when you swing these colossal driver heads the wind resistance won’t slow down your swing speed. What I like best about them is they instill lots of confidence at address. You can’t imagine not being able to knock that golf ball into the next time zone. 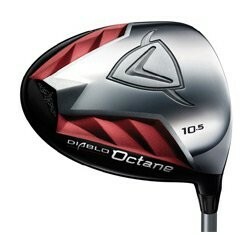 Also the Callaway Diablo Octane gets honorable mention. It’s not aerodynamic but is extremely game improving. It’s the newest technology in the market right now. I have to admit I didn’t really appreciate the adjustable drivers until my buddy Brian showed up with one during our weekly fourball. He usually hits a high fade that finishes on average 10 yards short of my drive. He bought a Taylormade R9 and adjusted the clubface closed. Now he hits a low draw that goes just as far as my drive and sometimes farther. DOH! Ladies check out the R9 Lady Supertri Driver. This is Cleveland's HiBore designed specifically for the ladies. It is the biggest one Cleveland makes. It is 17 percent larger then the Hibore XL with 13 percent greater MOI. This is the '09 Hyper X Lady's driver built with Callaway's Hyperbolic Face Technology (HFT) and S2H2 technology. The driver is huge and extremely forgiving. This Nike Lady SQ Machspeed driver is one of my favorite drivers for ladies and beginners (and especially lady beginners). The Machspeed is square to raise the MOI of the club. In addition, it is aerodynamic and adjustable. Isn't this precious? It's a pink driver. It's from a company named V-Series. Pehaps the "V" is for valentine. Nope, I checked the fine print, and it doesn't come with a box of chocolates. How do you improve swing speeds without shrinking the size of those huge, colossal driver heads? You make them more aerodynamic, that's how. If you are weekend warrior and are looking for a darn good driver for a reasonable price, ladies, this is a good choice. With its large 460cc driver head and offset hosel, this driver is designed for high to mid handicappers. This is a great driver for you mid to high handicap ladies. It is designed to be easy to swing and very forgiving. This is a good price for a modern driver built to be extremely forgiving. 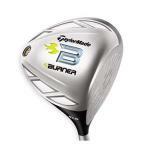 Ladies, if you have been eyeballing the new, larger drivers, you might want to dive in on this '09 TaylorMade Burner. I'm licking my chops looking at this driver. This is easily my favorite new driver of 2010, and I really like it for the ladies, especially because of the adjustable head with the movable weight technology. Look at this crazy looking club with the hinge on the shaft. It's one of those Medicus swing trainers and yes, it works.